Instagram helps to drive traffic and awareness to the content, that helped many entrepreneurs grow the email lists by 10,000 subscribers or more. To achieve this there is a need to follow a very specific process to get to the point. Growing the following so quickly with highly targeted followers would be impossible if we had to do everything manually. So here we had adopted a handful of convenient Instagram marketing tools to understand the audience, create pipeline and to make sure that the Instagram posts go out on schedule. Check the tools for Instagram growth. Most Instagram user’s biggest complaints about using the platform as a marketing channel are that Instagram doesn’t allow scheduled posts. unlike Twitter, Facebook, LinkedIn you can’t schedule a post, which means that many people think that they have to press publish on all their posts. Grum is the popular tool that allows you to schedule posts to go out automatically, without manually pressing publish. You can schedule and also can upload the content from a desktop, means that you don’t need to fiddle around with the phone or need to type on a keyboard. INK361 is a tool that gives all the information that you need. Posts more types of content that your Instagram followers engage. Analyze the competing accounts to find whether the audiences respond to. INK361 is free to use, there is a need for an account and is a useful tool. 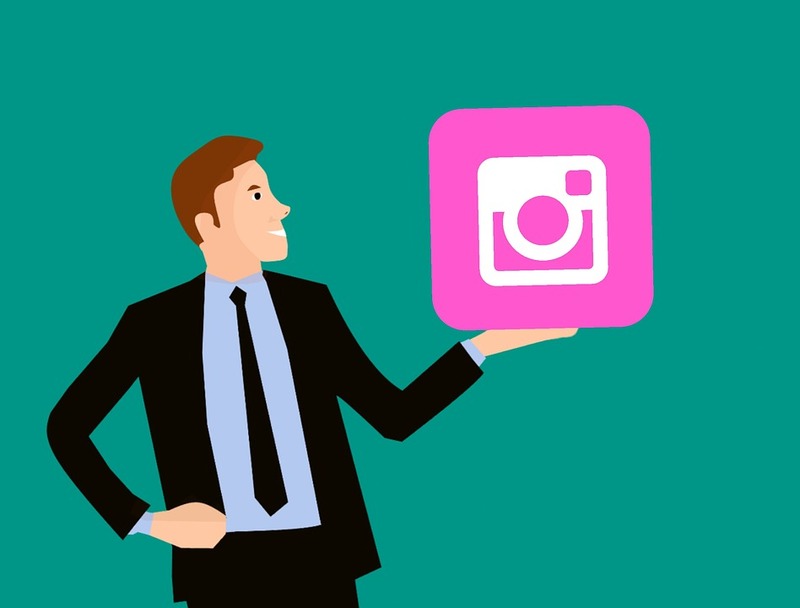 One of the most effective strategies that we looked upon in drive massive traffic with Instagram was the following strategy. Here we will find out the popular accounts that would have reached the target audience and then follow their followers. About 30% of people we follow will follow us back – so if we follow audience of large, similar accounts, we will also have the potential to reach thousands of highly targeted people who are more interested in what you are doing. But unfortunately, Instagram limits the number of people that you can follow somewhere around 6000. So how can we keep the following in a good manner? One of the most effective ways is to unfollow the people who are not following you back. Crowdfire is the best tool to make this happen. Using Crowdfire you can see who is following but not following you back and you can unfollow them without going to Instagram account. It also other features like to see who is following you, blacklists spam accounts. There is a need for creating a marketing plan for Instagram. You need to prepare content and also need to make the necessary preparations. Sometimes your post won’t be having a reach. What went wrong? Sometimes you could be posting at the wrong time of a day. As Instagram is a feed and people see on average about 30% of the feeds. They won’t see those posts after all. Also, use the hashtags wisely. If you use the hashtags that nobody engages with and it will also perform poorly in the industry. Iconosquare is an Instagram analytics tool that has data which will be helpful – including hashtags and the times of day to post. Thus this tool will be helpful since it will suggest the hashtags and the time to post. Iconosquare will also help to do the competitor analysis. Even though Iconosquare is a paid analytics tool, you can try 14-day free trial to try it out before investing. Instagress is an automation tool that allows you to automate all the activities that would take to engage with other accounts. This includes liking, following, unfollowing and even commenting on posts based on hashtags, users and locations where you can specify the target that you want. If you use this tool stick to it just for using it for liking posts using targeted hashtags and following accounts who follow your competitors. Most of us like to share images or pictures on Instagram that would work a lot. We would also like to post pictures of travel, inspirational pictures with text over top, content that conveys the message beyond the image. There exist apps to make it possible – Wordswag. With the use of Wordswag, you can choose hundreds of quality backgrounds and stock photos and place quotes etc. Each tool has its own use. To check the stats quickly and to get the snapshot of its day to day follower growth, SocialBlade is the best site. This tool is completely free and you can use it to look up any Instagram account to find out the stats on your following. One of the greatest struggle while posting on Instagram is the content preparation. We are all constantly checking out for new content ideas for the feed. One of the strategies we take is creating unique content and to connect with other Instagrammers – Reposting. If we are an eCommerce clothing store and if a customer posted a photo wearing your products. And if you want to repost it to your feed. A new tool – Buffer came out with a feature that allows easy reposting. Instagram is a huge asset for list building traffic and even helps in increasing revenue for the online business. So without tools, it would be a hard road to growing the following. Instagram marketing tools help you to understand the audience, followers and engage people you want to get your content. More over you can also read about Social Media Marketing Tips.